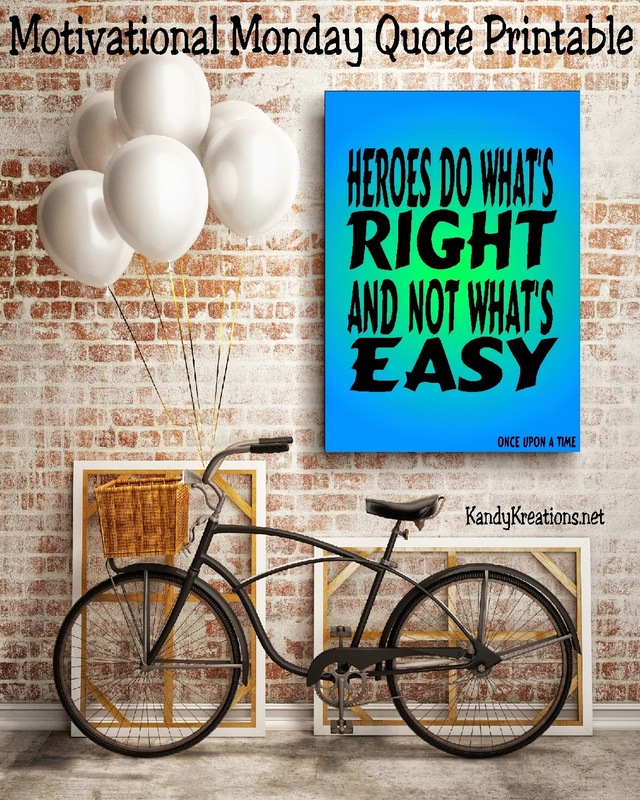 Even when the choice is hard, "Heroes do what's right and not what's easy" to make it to their Happily Ever After. Help your kids to choose the right this week with this free printable quote that's perfect for their lunch boxes, lockers, or the bathroom mirror. I love fairy tales and superhero stories. I think it's the fact that there is always a "happily ever after" and the good guys always win. I know that doesn't always happen in real life, so it's nice to be entertained by a good story that ends the way it should. But it's good to know that even heroes don't always get their happy endings right away. They have to go through some hard challenges and choose the right to win in the end. I think my kids need to learn that. They need to learn that everything isn't always going to be easy. But we can still make the right choices and win in the end. 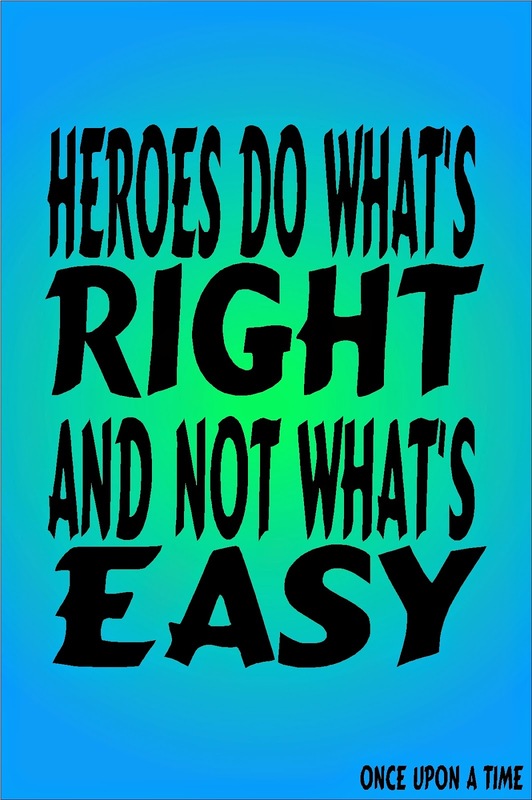 So when I was watching "Once Upon A Time" a few weeks ago, I loved when Snow White said this to Prince Charming "Heroes do what's right and not what's easy." 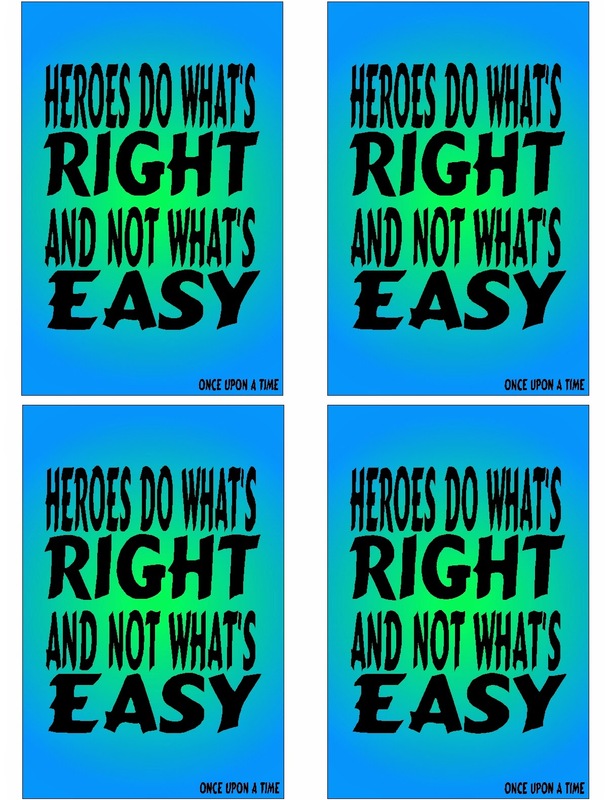 So for my Motivational Monday quote printable this week, my kids are getting this free printable quote in their lunch boxes. Hopefully, it will remind them to make the right choices this week and not the easy ones. Then they can find their ways to their Happily Ever After.